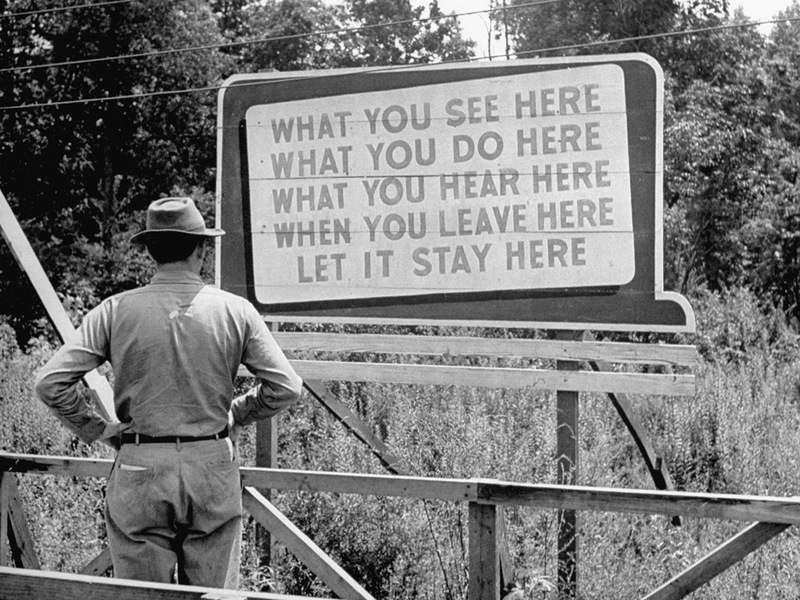 A billboard at Oak Ridge Facility in Tennessee warns people to keep silent about anything they see or hear there. Oak Ridge was a town built in 1942 to house workers and the laboratory that developed the Manhattan Project – the secret second world war program that built the atomic bomb. Whether we like it or not, science has been a key player in our political affairs. The acronym STEM (Science Technology, Engineering, and Mathematics) arose partly out of national security concerns such as World War II, the War on Cancer, and the Soviet Union’s launch of Sputnik. But how has science really played out through the wars? When we remember Eisenhower’s 1961 use of the phrase “military-industrial complex,” some historians argue the phrase was originally meant to be “military-industrial-scientific complex.” According to Ben Schott of the New York Times, this claim has been debunked, and there was “scientific” term in the phrase. But, though we never meant to describe the militarization of our nation with the word “scientific,” the role science has played in our militarized economy has lingered. The ethics of science in politics has been debated throughout the 20th century. Jacob Darwin Hamblin, Professor of History at Oregon State University, says scientists assisted in atomic energy regulation as well as Soviet Union diplomacy. During the 50s and early 60s, military research research blossomed as the US competed against the Soviet Union.